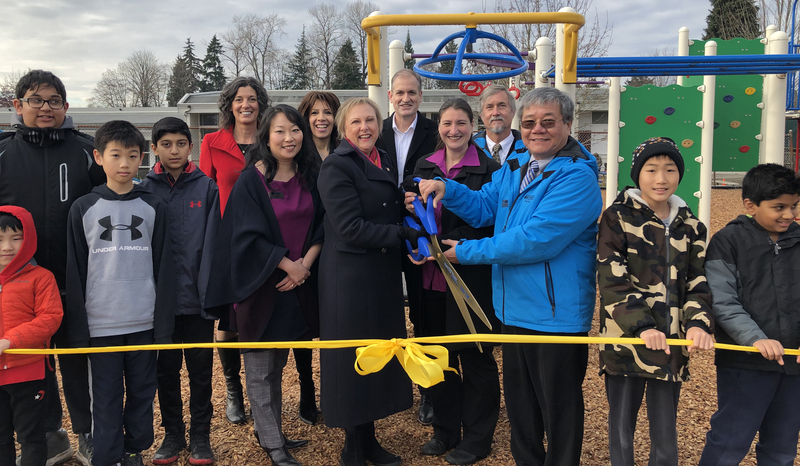 Students, families, staff, trustees, and special guests gathered for the official opening of a brand new playground at Suncrest Elementary. This valuable addition to the school is the result of a provincial grant, support from the District, and the hard work and contributions of the school’s PAC. Principal Lori Driussi was one of several speakers who talked about the importance of play for children. Burnaby Board of Education Chair Gary Wong talked about how a playground can also build a strong community.